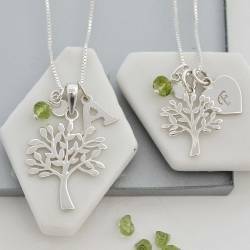 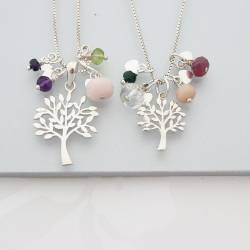 Gorgeous sterling silver necklace and bracelet set.The charm bracelet and necklace has abundant flora and fauna silver charms including flowers, leaves, a butterfly and dragonfly. 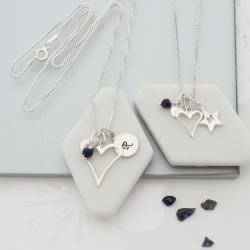 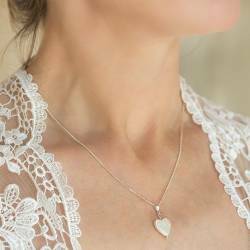 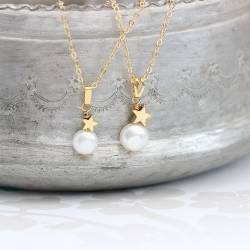 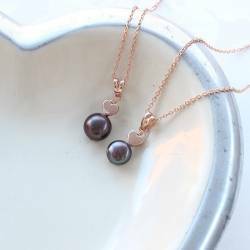 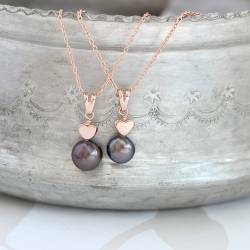 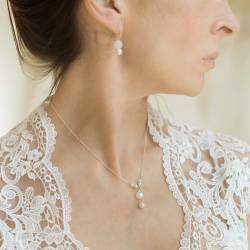 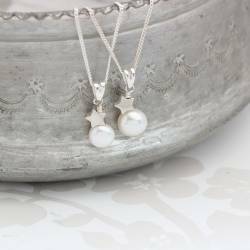 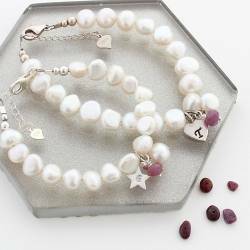 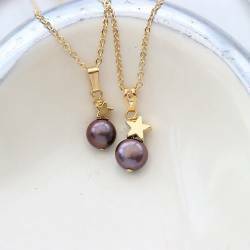 These stunning necklaces have a sterling silver puff heart combined simply with two fabulous white freshwater pearls perfectly sized for Mummy and Daughter. 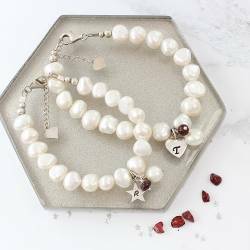 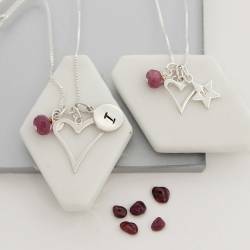 This personalised birthstone crystal and sterling silver heart charm necklace and pearl stud set is the perfect gift for her birthday whether she is born in March, July, November or any month.